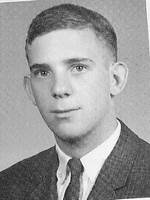 Yale M. Braunstein, Class of '62 passed away on July 25, 2012 in Berkeley, California with his family and wife of 44 years by his side. Yale was a professor in the UC Berkeley School of Information. He received a B.S. from Rensselaer Polytechnic Institute and a Ph.D. in economics from Stanford University. He joined the faculty of the UC Berkeley School of Information (then the School of Library and Information Studies) in 1983. Yale was a scholar of the economics of information and communications industries and systems, with a focus on telecommunications policy, broadband, and the economics of intellectual property policy. He authored or co-authored more than 50 articles in the fields of economics and information science and worked as a consultant in the United States and internationally.